Here’s the weekend outlook story from USA Today. Have a good weekend! Well, it hit 100 degrees at Dallas-Fort Worth International Airport this afternoon. Last year, there was only one 100-degree day at DFW Airport. Here we go… More details. It almost did the same in Houston, but I’m sure it felt like it. More here. Sky watchers in Alaska, parts of Canada, most of Europe and Asia will experience a partial eclipse of the Sun this weekend. More details at SpaceWeather.com. Cities may be creating their own weather, and changing the climate around the globe. National weather service will recognize Kingsville, Texas as a StormReady community in time for hurricane season, which begins Sunday. Many hurricane links are in our National page. An F5 tornado hit Jarrell, Texas 6 years ago today, killing 27. A good summary is here. Also: A 1997 CNN story is here. The same ultra-low-frequency sound waves that whales and elephants use to communicate over long distances have been harnessed in a novel tornado-detection network being tested by Boulder researchers. More here. Baseball-size hail fell in Denton County, just north of Dallas-Fort Worth. East Coast, Gulf Coast will see clouds, showers, and a even few thunderstorms Monday. Details here. Some Iowa residents get weather radio for $11. 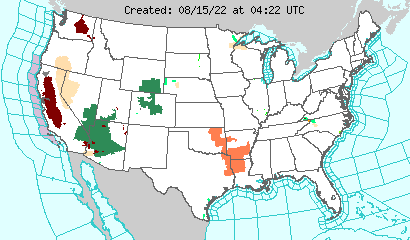 Not bad… I still have yet to get a weather radio. I am using my pager from work for severe weather alerts. Here’s an updated weather story for the weekend from USA Today: Northeast and mid-Atlantic regions will see rain … over the central Plains, some intense thunderstorms, a few severe. I hope you all have a great Memorial Day holiday weekend! Here’s the weekend weather story from USA Today. I’m shooting for some r&r since I’m coming off a long stretch of colds and allergies. Many are talking about the American Idol results… Clay fans claim they couldn’t vote. 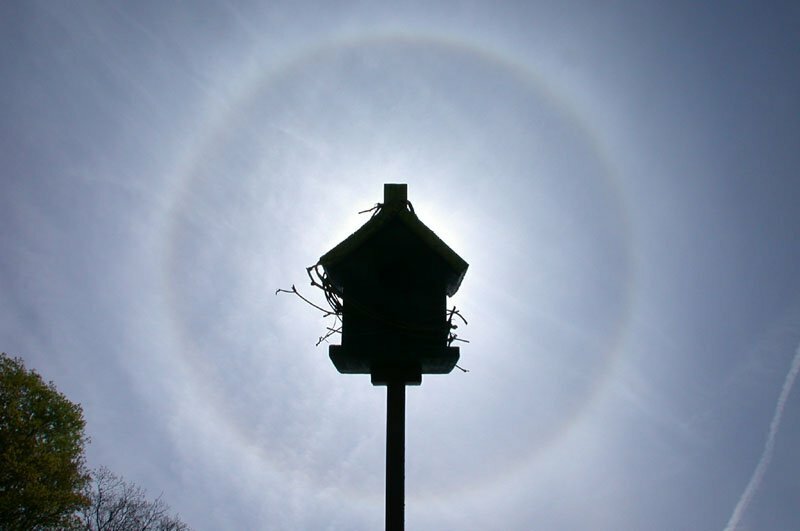 Quake Kills 500+; Amazing Eclipse Pics; Costliest-Ever Tornadoes; Where Would You Stick A Webcam? A magnitude 6.7 earthquake has killed more than 500 people in Algeria. Story and Google newswire. USGS World map and quake list. More earthquake links in the National page. 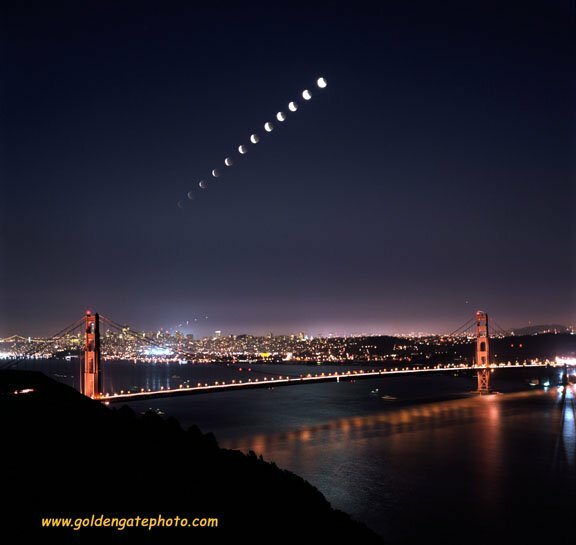 Incredible May 15/16 lunar eclipse shots added to SpaceWeather.com’s Eclipse photo gallery, includes this amazing San Francisco shot. Forecast reveals another wet day for some: Story from USA Today. Tornadoes earlier this month may be the costliest ever. USA Today story here. A webcam entry (how long has it been! ): Kids in the U.K. were asked: ‘Where would you stick a webcam?’ A 13-year-old focused a webcam on her chickens and she’s had thousands of visitors from all over the world. Story and answers here. Some interesting names for hurricanes this year: Bill (that’s my name! ); Danny (my wife’s dad’s name); Kate (friends of mine know I have always loved the music of Kate Bush but never understood it); Peter (named after another great musical artist and friend to Kate Bush, Peter Gabriel); and Victor (one of my co-workers at NBC 5). The complete list is in this NOAA page. WREG-TV asks the question: Who warns movie patrons in severe weather? NOAA experts predict 6 to 9 hurricanes. See NOAA’s complete hurricane forecast. Severe storms may be possible in parts of Oklahoma and Texas, according to today’s text forecast. The lunar eclipse gallery is growing with some great shots… but many missed it. More rain in parts of the South. Details from USA Today. As of noon, is a beautiful day in downtown Birmingham for Day 2 of the big City Stages festival, which draws thousands, but the skies will soon open over the city, as this National Weather Service radar loop shows. A tornado watch is in effect this afternoon, so be careful if you’re headed out there… More from NBC 13.